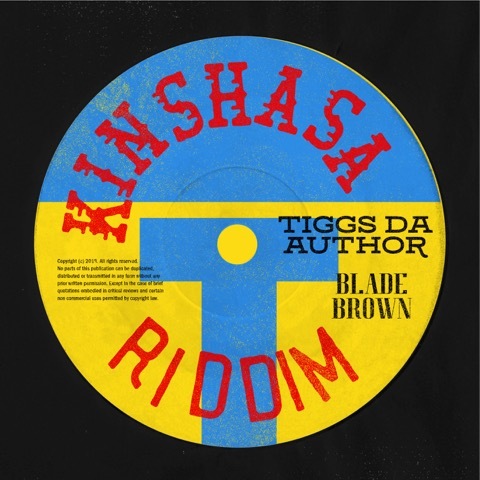 Tiggs Da Author kicks off the new year with a brand new single KINSHASA RIDDIM, featuring South London rapper, Blade Brown. I'm really enjoying the flow in this song which is the first track to be taken from Tiggs' upcoming mixtape which will arrive over the next few months and includes other huge collabs with some of the UK's most respected talent. Stream KINSHASA RIDDIM below! I've worked with Blade before and I knew I wanted to get him on one the projects that I'm working on. When I was in the studio recording the chorus to KINSHASA RIDDIM' I uploaded it to my Instagram Story and Blade was actually the first person to respond so I just messaged him and he came to the studio to put down a verse and thats how the song came about! When I was young my mum used to play a lot of Congolese music and we would dance around to it, I'm sure subconsciously that kind of influenced me and my music, so I knew I always wanted to call a track KINSHASA. This track sets the tone of the mixtape, it's got the right energy and tempo so it felt right to release it first. This year I wanted to release two different projects - carefree, two different vibes, but you can enjoy each one in their own unique way.